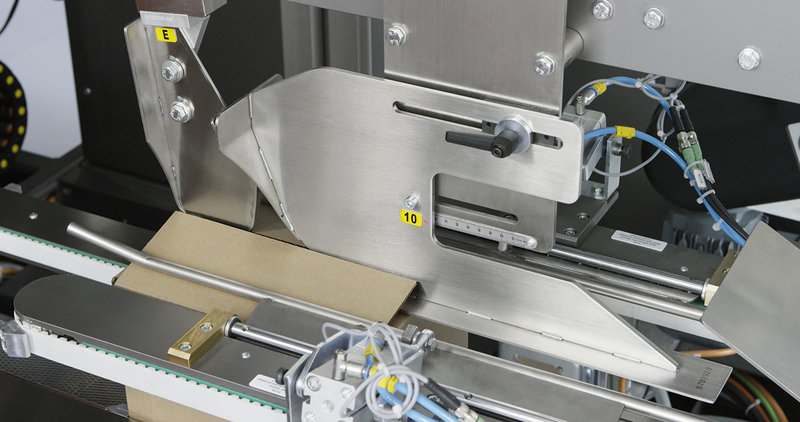 Attention to ergonomics and undeniable flexibility are the primary characteristics of this case packer. 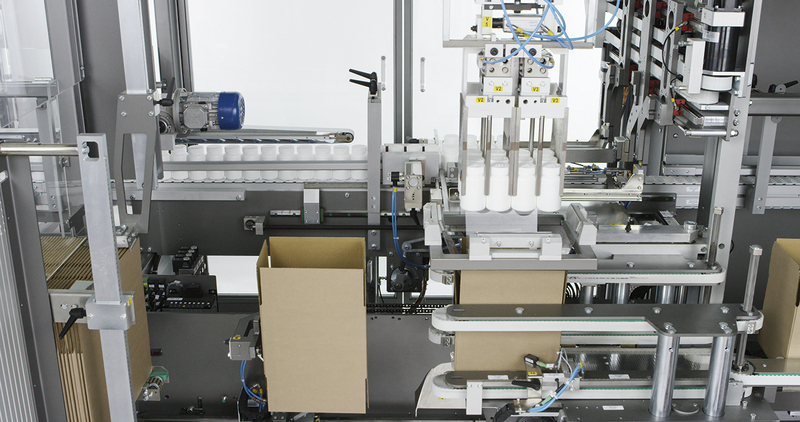 The CPV20 handles a variety of bottle shapes and single cartons. 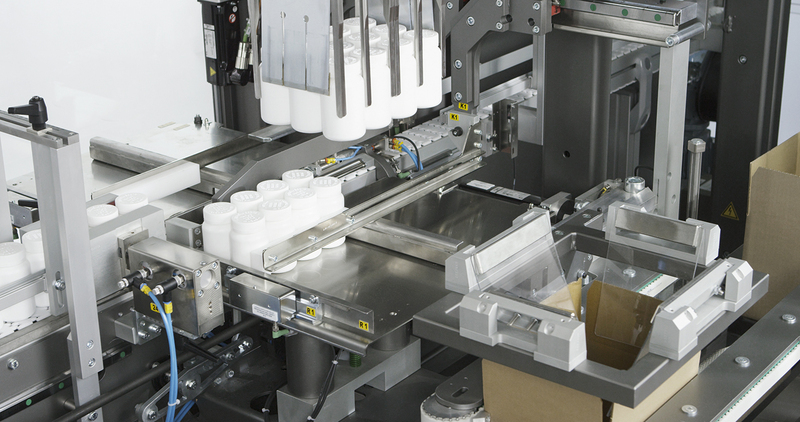 Up to 20 cases/minute can be processed, offering excellent productivity. Two independent chains feed regular flowing blanks to the erection stations where they are positioned with precision. 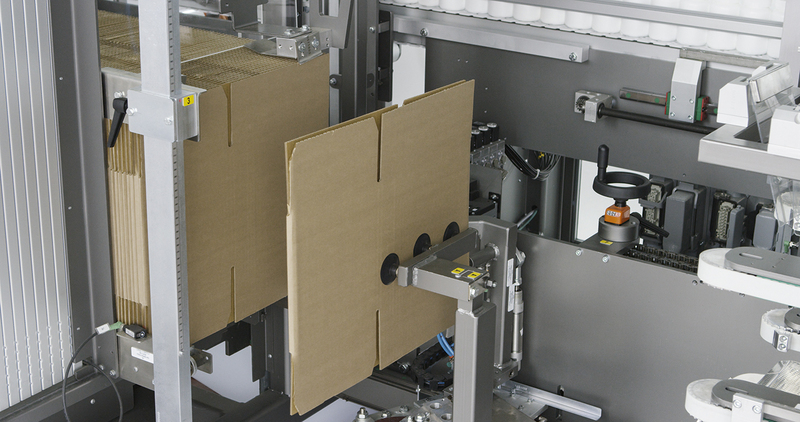 Once opened the cartons are filled and transferred to the closing zone, fitted as a separate module and enabling hot-melt glue or adhesive tape closure. 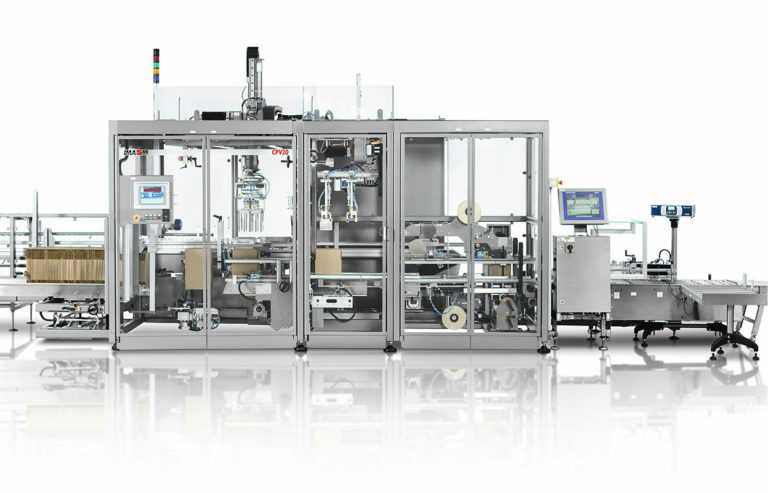 Thanks to the modular concept at the heart of the CPV20, special modules can be incorporated to handle additional items needing to be packed with the product. 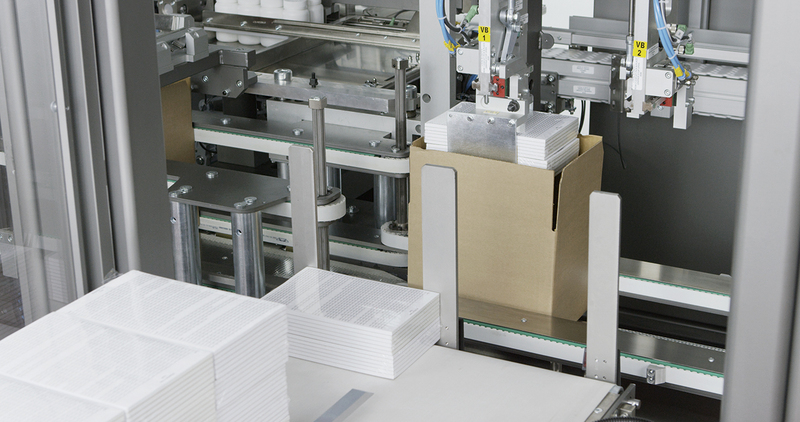 Wide variety of product types handled: bundled or loose bottles and single cartons. 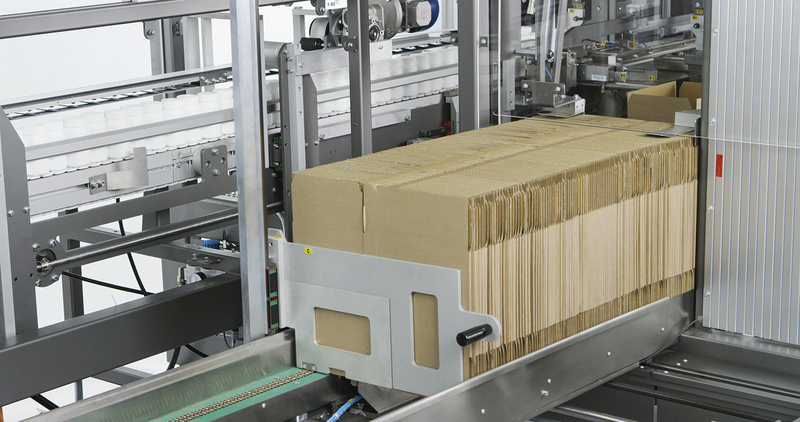 Modular design accepts integration of special modules for special requirements. 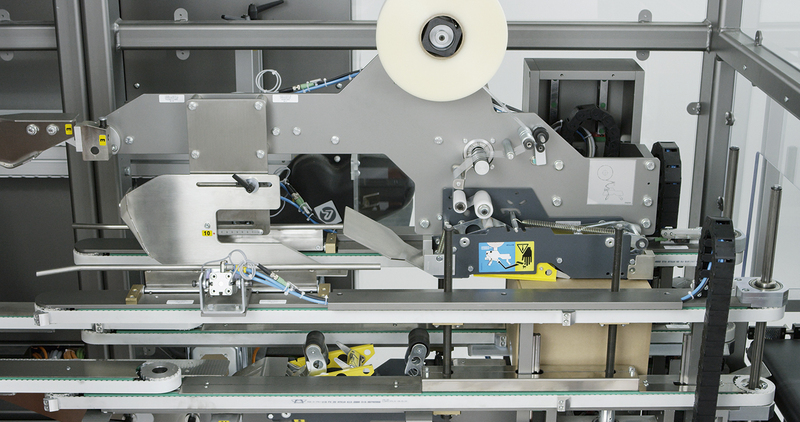 Regular flowing blanks and accurate positioning for maximum production efficiency. 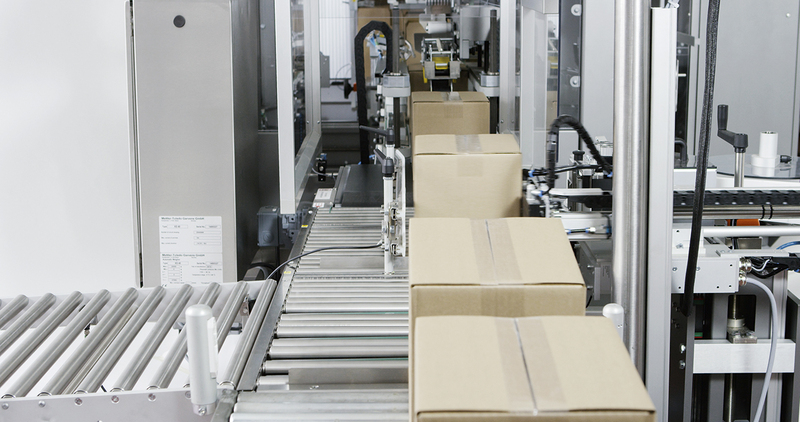 By pass possible for IPC (in-process control).